Ome Tochtli Xihuitl - I.N.A.S.C.A. 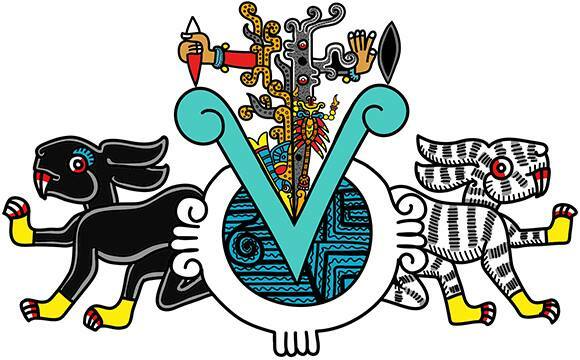 The Ome Tochtli Xihuitl I Amoxtli counts the cycles during the year Two Rabbit which began March 12 2014 at 6:45am and will end March 12 2015 at 12:45pm. This year is the second year within a larger 13 year cycle known as a Tlalpilli which will carry the essence of this first year, Kalli, through to the end. The symbol of Ome Tochtli most obviously highlights the dual essence inherent in this year, an essence highlighting the dual nature within the Universe and Nature. This encompasses the dual nature in every individual as well: our sensoral and extra-sensoral perceptions, our masculine and feminine essences, the tangible and intangible, the conscious and subconsious, the light and dark, Ketalkoatl and Tezkatlipoka. The list continues. The understanding of this dual nature in the universe allows us to begin to comprehend the totality of our realities. Beyond the duality, every aspect of this symbol holds further information regarding the essence of Ome Tochtli Year. Designed and created by young master, Akaxe Yotzin, the symbol is a study of the forces that will have a stronger effect during this next year and an intentional merging of symbols that comprise the essence of Ome Tochtli.